Known as “The Jewel” of the Texas Hill Country, Canyon Lake, Texas is an ideal place to relax along the Guadalupe River. It is centrally located between the metropolitan areas of Austin and San Antonio, and the towns of Spring Branch, Gruene, Bulverde, and New Braunfels are only minutes from the lake. Interstate 35, Highway 281, and FM 306 are just fifteen minutes away and offer convenient transportation routes to Canyon Lakes’ residents and visitors. With eighty miles of shoreline and miles of water along the Guadalupe River, boaters, swimmers, and fishermen are afforded plenty of places in and around Canyon Lake to unwind from the hustle of everyday life. Canoe rentals and inner tubes are available to rent, providing day-long float trips down the refreshing waters of the river. The water is easy to access and is an important feature of this lakeside community. Aside from its many water recreation amenities, other outdoor fun includes hiking through the parks and trails, camping, and picnicking. Wildlife can be viewed throughout the area and includes roadrunners, deer, and fox. Golfers have access to a par 72 course with a panoramic view of Canyon Lake. With its hills and beautifully maintained fairways, the course is a favorite among local golfers. 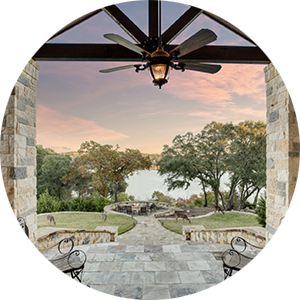 If you are looking to purchase real estate in Canyon Lake, new and established homes are available. With multiple bedrooms to accommodate all of your lake guests, breathtaking views of the water, and peaceful settings, it will not take long to feel at home here. Many residences have been recently updated with features such as new kitchen cabinets and appliances, flooring, and more. 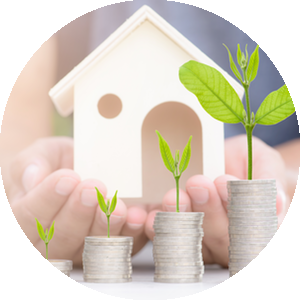 Annual renters will find houses, apartments, and condos with amenities such as an in-ground pool, off-street parking, and in-unit laundry. Snowbirds looking to escape the winter weather will find refuge in Canyon Lake. 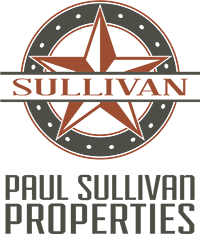 Visitors have an assortment of lodging to choose from, including motels, cottages, bed and breakfast inns, cabins, campgrounds, RV parks, and vacation rentals. 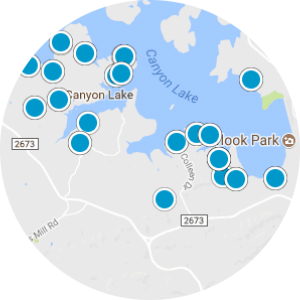 If you would like more information regarding real estate for sale or rent in Canyon Lake, Texas, please contact us today and allow us to assist you.